shortly before Christmas we would like to give you a small update. But first we wish you peaceful holidays with your loved ones. Enjoy the days off. After we gained a distributor for the japanese market when we had visit the DEMA Show in the United States (we reported to it in our first update), we now also providing the south korean marktet with Buddy-Watcher. Our new distributor in South Korea already ordered 100 Buddy-Watcher-sets which is corresponding with an order value of almost 10,500 US Dollar. Thus this, we entered the asian market already better than we had been expected. 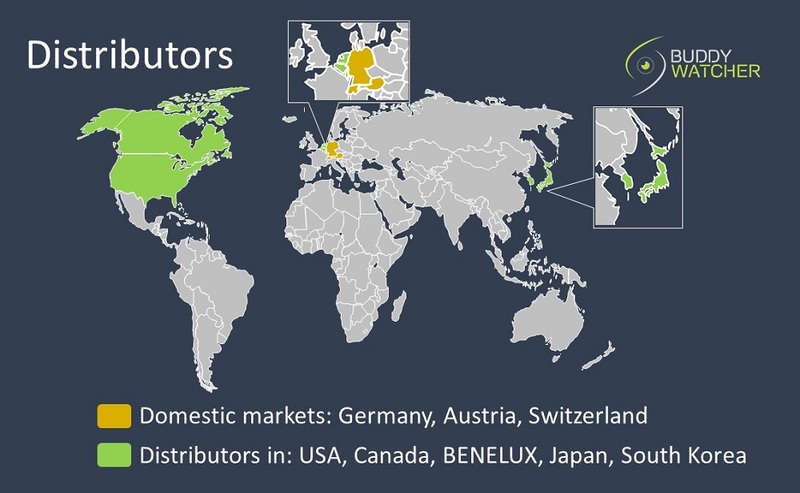 We will cooperating closely with our distributor to ensure the success of Buddy-Watcher in Asia. Invest now in Buddy-Watcher and support us here! Please register in order to see the complete profile of Buddy-Watcher.